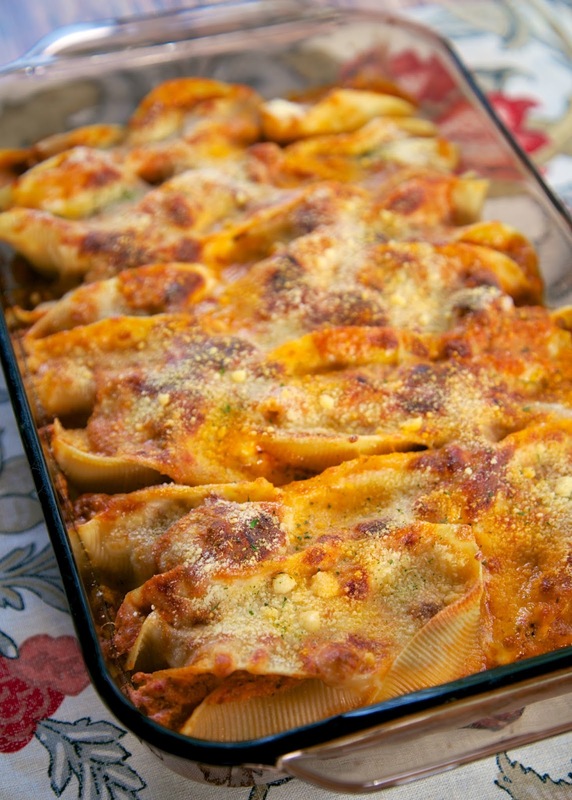 These are not your typical stuffed shells. The filling is sort of runny and also serves as the sauce over the shells. I was skeptical, but I went with it. Boy, I'm so glad I did. These are crazy good!! I ate them all week and was so sad when they were gone. These are hands down the best baked shells I've ever eaten. These shells are so simple to make. They only have a few simple ingredients. You probably already have them on hand. These shells can be made ahead of time and heated up when you are ready. This dish would also freeze well for a quick week night meal. In a large skillet, cook Italian sausage until no longer pink. Drain fat. Stir in spaghetti sauce and cook 2 minutes. Remove from heat and stir in ricotta cheese, salt and pepper. Spread a few spoonfuls of spaghetti sauce mixture over bottom of a 9x13-inch pan. Stuff the shells with the spaghetti sauce mixture and place in pan. Pour remaining sauce over shells and top with Parmesan cheese. Bake for 15 minutes then place under broiler until cheese is browned. Mmmmm! I'm putting this on the list of next weeks meals! 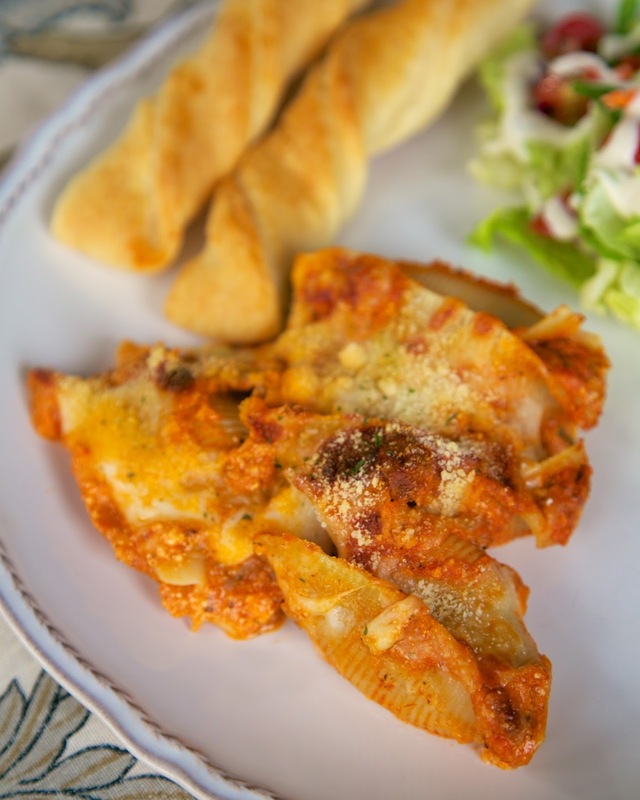 I love baked shells, and this looks like a simple and quick way to prepare them. I made these Wednesday evening and thought I had enough for leftovers last night. Went to the fridge and my son had eaten over 1/2 of a pan. These are delicious and easier to make than I thought!